Dinosaurs extinction has been one of the world’s most dramatic mass extinctions. The cause of extinction, though attempted to be explained by many theories, has been a matter of debate with no clear consensus. One of the theories says that about 66 million years ago, a massive meteorite (event referred as Chicxulub catastrophe) slammed our planet into the Gulf of Mexico, which lead to cataclysmic climate changes thereby sweeping off all the dinosaurs at once that were flourishing well until then. This extinction at the Cretaceous–Paleogene (K-Pg) was complicated than straight away wipe out of dinosaurs. A recent study published in Proceedings of the National Academy of Sciences by Manabu Sakamoto (post doctoral fellow, University of Reading) Michael J. Bentonb (University of Bristol), and Chris Vendittia (University of Reading) challenges the existing theory. 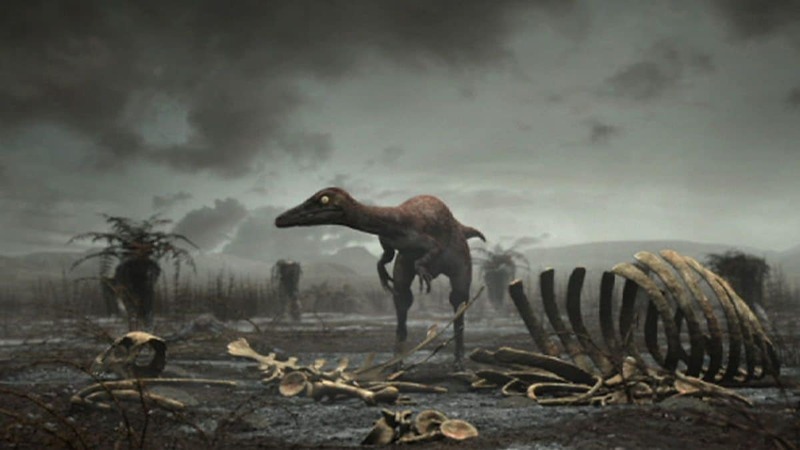 With their novel approach to statistically analyze the speciation and extinction, the researchers resorted to Bayesian phylogenetic approach to study the dynamics model for three subclades of dinosaurs: Ornithischia (beaked herbivores), Sauropodomorpha (long-necked plant-eaters), and Theropoda (flesh-eaters). In all the subclades, it was found that the dinosaur population was slowly declining that began about 24 million years ago before the Chicxulub event. This decline of the existing population was not compensated by the new ones making the species pretty vulnerable to the extinction when the catastrophic event occurred. In such scenario the Chicxulub event was just a final nail in the coffin instead of the actual cause of extinction. It must be noted that the statistical violations which were previously ignored were also taken into account during the study. The reason of the decline is suspected to be the transformation of Earth due to deadly tectonic shifts during the Cretaceous period (145.5 million-65.5 million years ago), though the researchers are not sure of it. In a drastic geological change, Earth’s two supercontinents was falling apart, climate was cooling down, sea level was fluctuating and persistent volcanic activity prevailed. Simultaneously, India’s Deccan Traps saw eruption of megavolcanoes that might have driven the dinosaurs extinctions, as suggested by Gerta Keller (Professor of Geoscience, Princeton University). These events, consequently, lead to the attenuation of the habitat of dinosaurs. According to Sakamoto and Venditti, “Any combination of these processes could have affected dinosaur speciation”. The authors believe that the dinosaurs were probably under stress for a prolonged period. Disagreeing to this latest finding, Stephen Brusatte (Palaeontologist, University of Edinburgh) says the decline was “very, very plausible” but that doesn’t mean dinosaurs were “wasting away” towards the extinction, as reported by The Guardian. He believes, however, that they could have bounced back.